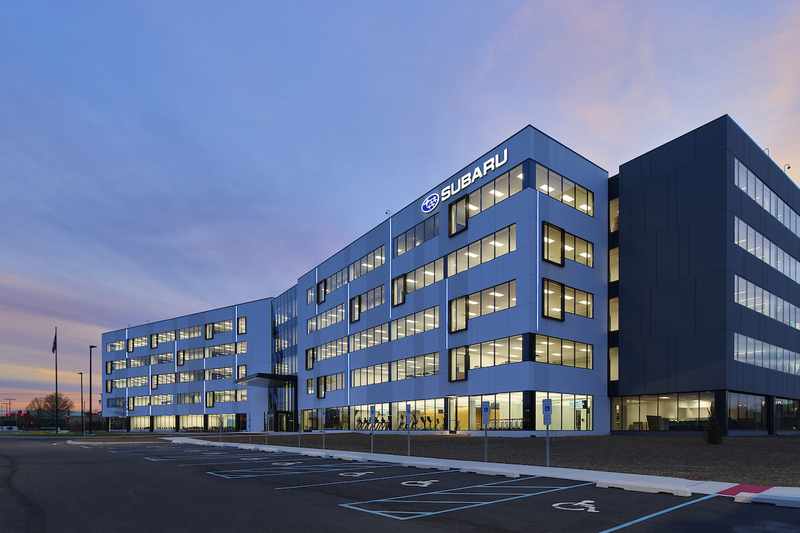 Subaru of America celebrates the grand opening of the all-new 250,000 square foot corporate headquarters in Camden, NJ on April 27, 2018. Photo credit: © Jeffrey Totaro, 2018. Subaru of America’s new facility, combined with an adjacent new training center (under construction), will more than double the size of the automaker’s previous headquarters and bring employees from four sites onto one campus. Photo credit: © Jeffrey Totaro, 2018. 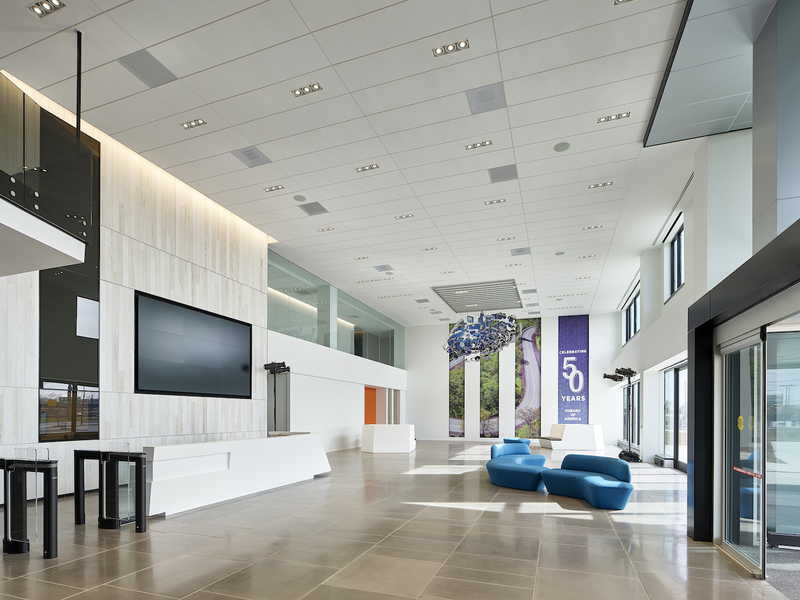 Subaru of America’s new corporate headquarters is 100% Green Power certified by the U.S. Environmental Protection Agency, and a Zero-Landfill facility with all waste recycled or reused. It is also expected to be LEED Certified by the U.S. Green Building Council. Photo credit: © Jeffrey Totaro, 2018. “The Strength of Our Stars,” a perceptual sculpture by Michael Murphy, hangs from the new corporate headquarters lobby given to Subaru of America by the National Retailer Advisory Board and the entire Subaru retailer network. Photo credit: © Jeffrey Totaro, 2018. 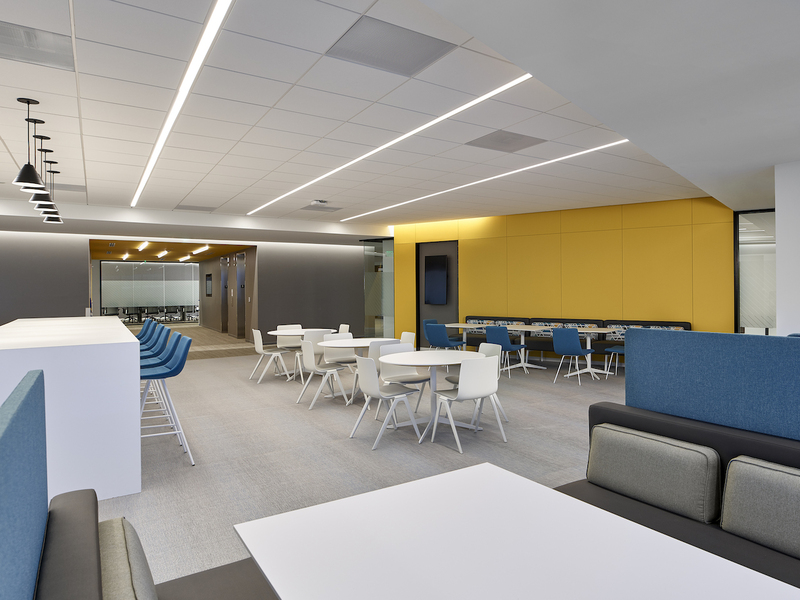 Subaru of America’s new corporate headquarters includes more than 30 open collaboration spaces of various sizes for everything from impromptu discussions to group projects. Photo credit: © Jeffrey Totaro, 2018. 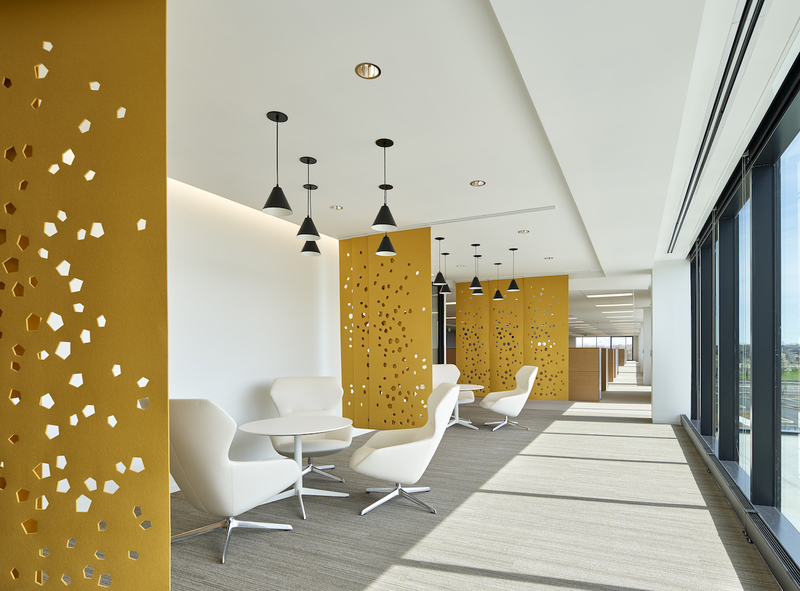 More than 115 meeting rooms of various configurations light up the new Subaru of America corporate headquarters with natural light in an open-office environment. Photo credit: © Jeffrey Totaro, 2018. 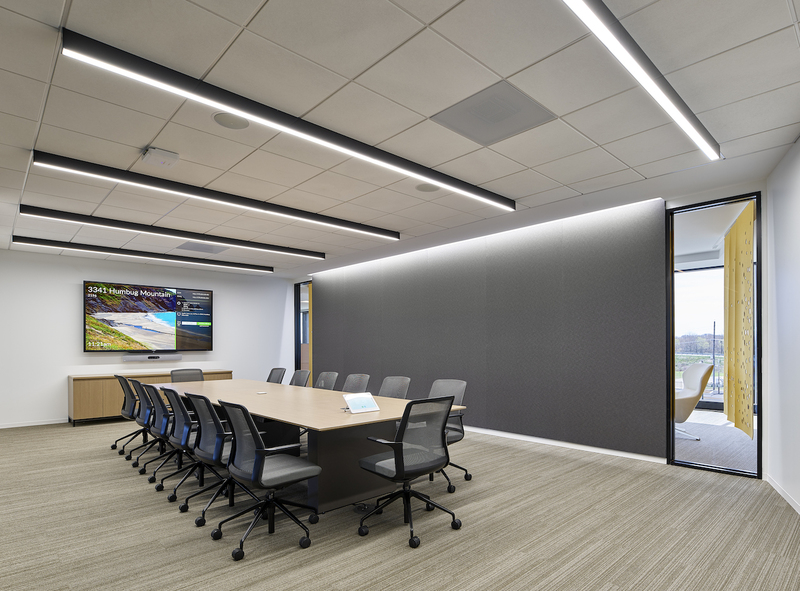 The new Subaru of America corporate headquarters includes more than 115 meeting rooms of various configurations providing ample space for events, meetings, training and collaboration. Photo credit: © Jeffrey Totaro, 2018. Unique meeting rooms fill the new Subaru of America facility, all designed to enhance communication, innovation, and productivity for over 500 employees. Photo credit: © Jeffrey Totaro, 2018. 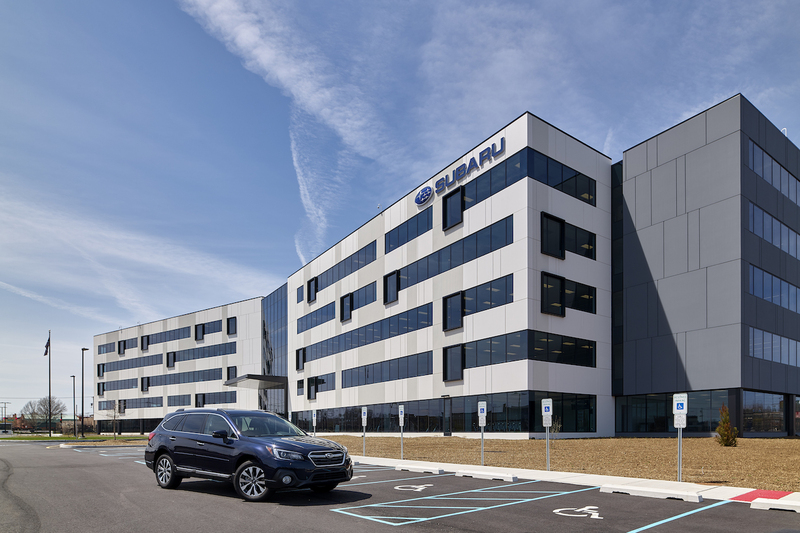 CAMDEN, N.J., April 27, 2018 /3BL Media/ – Subaru of America, Inc. (SOA) today conducted a grand opening of its new home in Camden, NJ. Following several years of sustained business growth, Subaru of America announced plans in 2014 for a new headquarters campus to be located in Camden. Next month, more than 550 employees will begin to occupy the new building at a time when the company is celebrating nine consecutive years of record sales and 10 years of consecutive growth. The new facility, at 250,000 square feet, plus an adjacent new training center will more than double the size of the automaker’s previous headquarters and bring employees from four sites onto one campus. 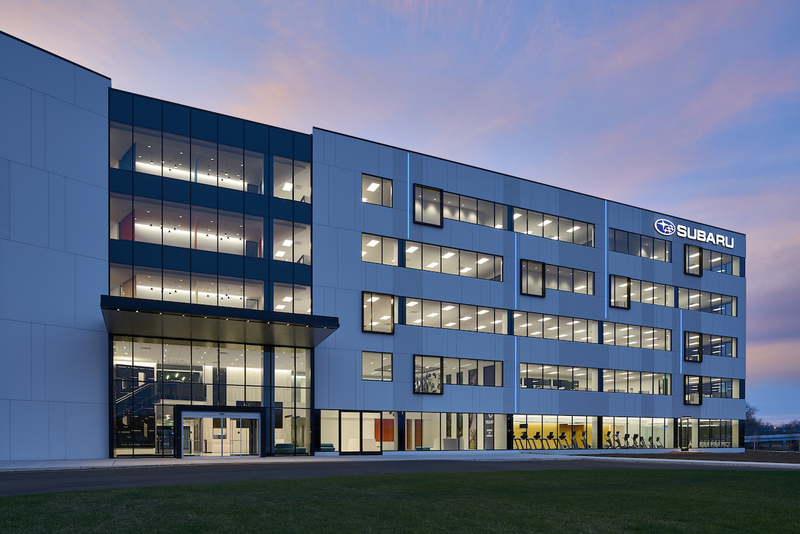 The Subaru of America headquarters grand opening featured speeches by Brandywine Realty Trust President and CEO, Gerard Sweeney, Camden Mayor Francisco “Frank” Moran and Subaru of America President and CEO, Thomas J. Doll. A display of the automaker’s 50th Anniversary edition models and specially wrapped Outback vehicles framed a visual ceremony that centered on the theme of ‘Love Promise’ which is the company’s pledge to support its communities and customers nationwide. Subaru of America was founded in 1968 in Philadelphia and has been based in the Delaware Valley for 50 years. Subaru has had its corporate headquarters in New Jersey since 1969 and had been in its Cherry Hill location since 1986. It also operated out of two offices in Pennsauken, a space at Executive Campus in Cherry Hill, NJ, as well as a distribution and training center in Florence, NJ. 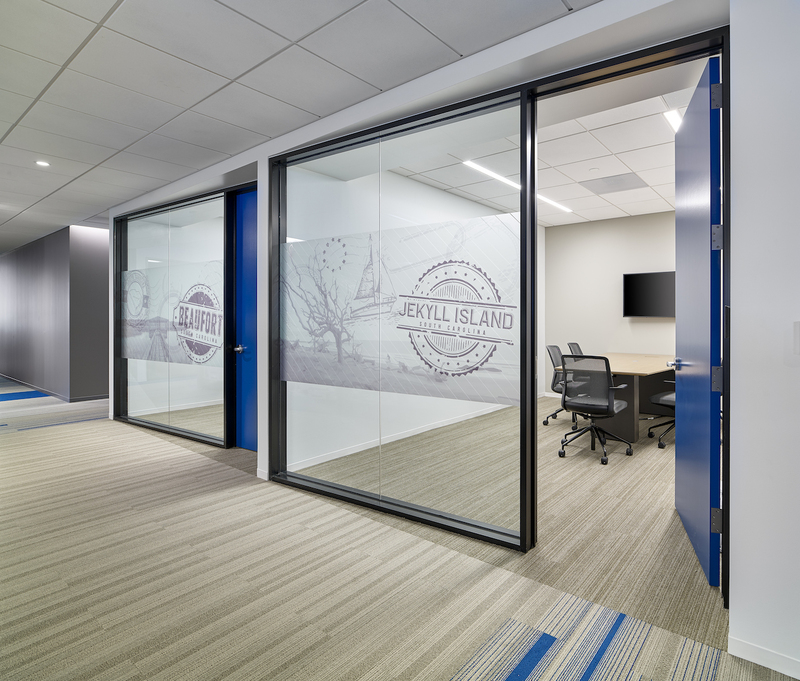 The company developed the all-new $118 million corporate headquarters in order to bring together much of its local workforce and provide them with a leading working environment, which it hopes will help spur even more growth. The Subaru of America campus, located adjacent to Campbell Soup Company’s world headquarters, is the first new corporate headquarters in Knights Crossing, a master plan urban town center community, being developed by Brandywine Realty Trust. The entire Knights Crossing development, upon completion, will consist of 1.4 million square feet of innovative office, full-service amenities, ample public greenways and will ultimately be served by two sources of public transportation.